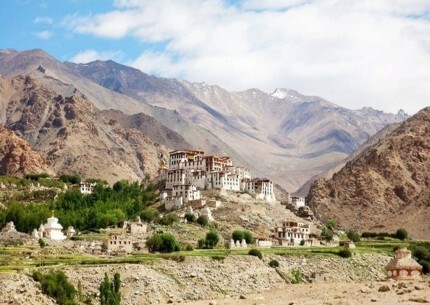 Travellers flock to Ladakh from all corners of the globe. This trans-Himalayan district of Jammu and Kashmir has now become a favourite of both adventure freaks and culture enthusiasts. 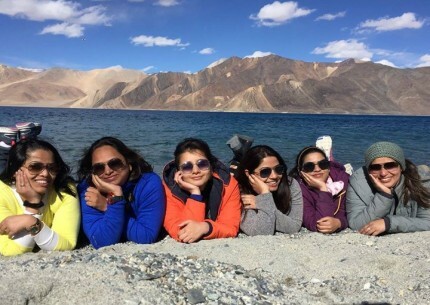 As a specialist Leh-Ladakh travel management company, we provide you with both destination and product knowledge and wish to offer you some great real life experiences during your holidays in Ladakh. Leh, the capital of Ladakh is situated at a height of 3505 meters and is towards the eastern parts of Jammu and Kashmir. 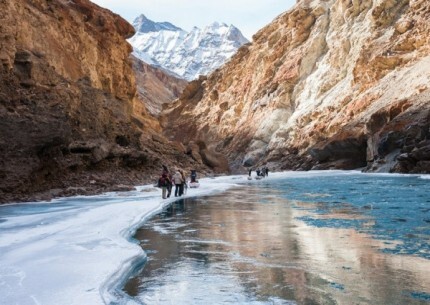 The region is watered by the Zanskar River, which flows into the Indus River just below. 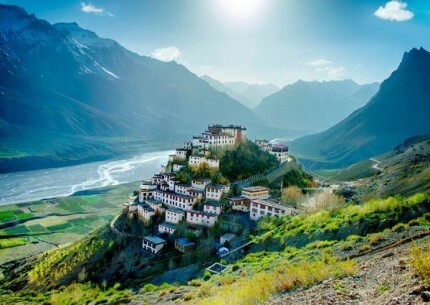 Spilling out of a side valley that tapers north towards eroded snow-capped peaks, the Ladakhi capital sprawls from the foot of a ruined Tibetan style palace - a maze of mud-brick and concrete flanked on one side by cream-coloured desert, and on the other by a swathe of lush irrigated farmland. As one approaches Leh India for the first time, via the sloping seep of dust and pebbles that divide if from the floor of the Indus Valley, one will have little difficulty imagining how the old trans -Himalayan traders must have felt as they plodded in on the caravan routes from Yarkhand and Tibet: a mixture of relief at having crossed the mountains in one piece, and anticipation of a relaxing spell in one of central Asia's most scenic and atmospheric towns. 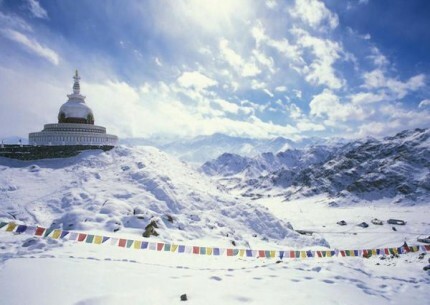 Leh in India is a beautiful destination with so many attractions and is the center of Tibeto-Buddhist Culture for ages. Its colorful gompas have attracted the devout Buddhists from all over the globe. 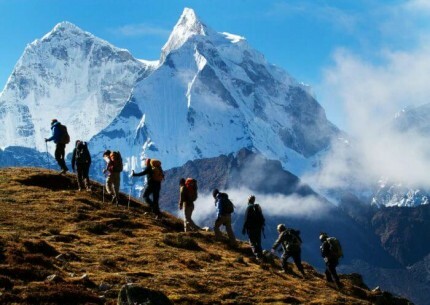 Besides, it is also a favorite hiking locale and is known for some of the best hikes in the country. 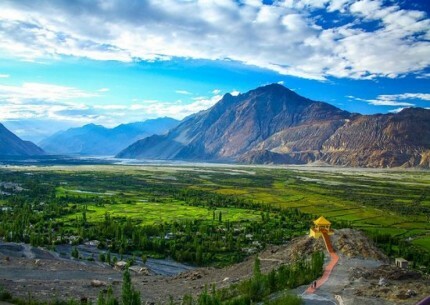 Travel to Leh this vacation to enjoy its mystic beauty, not before that acquaint yourself a little bit about the past and present of Leh, India. 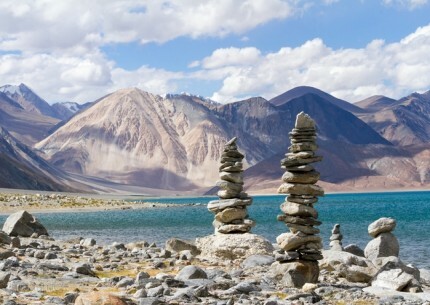 LADAKH is a mysterious land shrouded in myth and legend. Much of its ancient history is known only through the mythology of its people as its written history is of very recent origin. 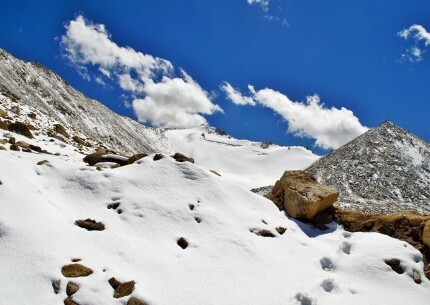 Known for centuries as the 'land of passes' (La-pass; Dakh-land), Ladakh was described by Fa-hian, who travelled across its inhospitable terrain in 399 A.D. as 'The land where snow never melts and only corn ripens'. In the early 18th century, the king began appointing village elders to assist in ruling. This practice was probably the basis of the village headman tradition that is still current. Printing presses to produce religious texts were also introduced at this time. All religious texts are still written in Tibetan: further testimony to Tibetan influence in Ladakh. In the 18th century Sikh rule was established over Jammu and Kashmir. A general in the Jammu army, Zorawar Singh, invaded Ladakh in what became known as the Dogra Invasion of 1834. Leh Palace was heavily damaged and the King of Ladakh retreated to Stok, where the family still lives (the most recent king was crowned in 1992). Its landscapes are forbidding by any measure. 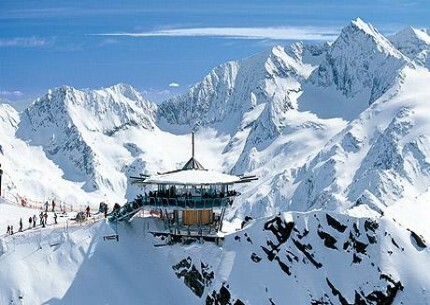 Snow-swathed mountains rise to several thousand feet above one of the most elevated plateux on earth. A treeless wind-swept country, much of Ladakh can be termed as mountains, Arctic desert, where everything is parched bt the rarefied dryness of the atmosphere. Scattered here and there, a few narrow fertile valleys provide a stark contrast to an otherwise barren, beautiful country of intense sunlight and clear sparkling air. The limpidity of the atmosphere, in fact gives the night sky a unique clarity, so full and bright with stars that one feels transported to some etheral setting far removed from earth. For endless years, mad had even discovered this remote land, several hardy animals and birds lived together here in an exquisite equilibrium. Circumstances have now changed as they have almost everywhere else on the subcontinent. Today, Ladakh's flora and fauna are threatened and protection is vital if the ancient ecosystems are to survive the trauma of modern man. Through the fabric of this account runs a strong statement, that the armed forces possible contribution to conservation remains untapped. Harnessing this vital potential force may be the single most important conservation advance India could make in the battle to save what remains of its natural wealth. Major Tourist Destinations LADAKH is situated between 30 degree to 36 degree east latitude and 76 degree to 79 degree north longitude. 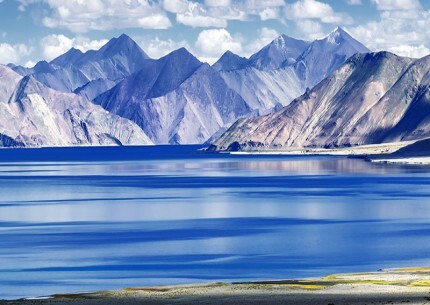 The region of Ladakh spread over to an area of 96,701 Sq. Kms and comprising a population of 2 Lakhs habitants and consists of two districts, Leh and Kargil. 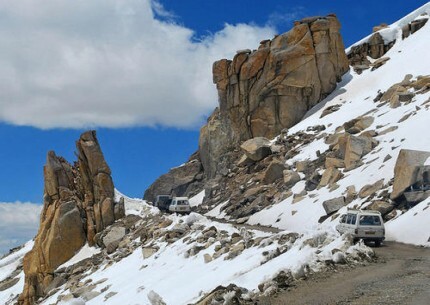 The region of Ladakh normally remains land locked between November to June every year as Srinagar-Ladakh and Ladakh-Manali highways, which connect Ladakh with the other parts of the country, remain closed during this period because of snow and rigorous winter. 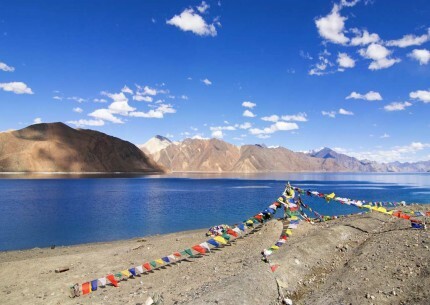 Ladakh is also the land of many lakes and springs. Among the springs,the famous are the sulphar springs of Panamic(Nobra), Chumathang and Puga of Changthang ,which are famous for early curing of joints/rheumatic diseases. 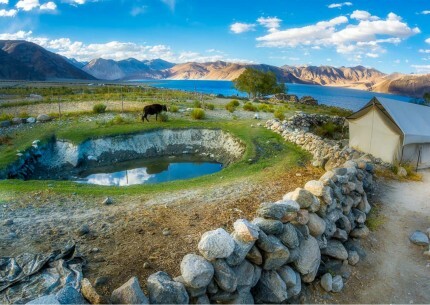 Many mineral springs are also found in some remote parts of Ladakh. People of region use the spring water as medicine to prevent and cure themselves from many diseases. 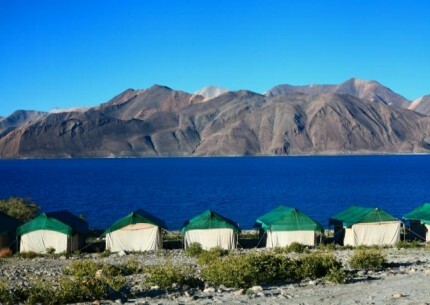 The important lakes which fall within the jurisdiction of Ladakh are Pangong lake (150 Kms.long, 4 Kms. wide situated at a height of 14,000 ft.). Tsomoriri lake, (Tsokar means salty lake). Since ancient times till the end of 1959 salt was being extricated from this particular salty lake for human consumption. Ladakh has two districts namely Leh and Kargil which stand in contrast with each other in terms of geography and climate. 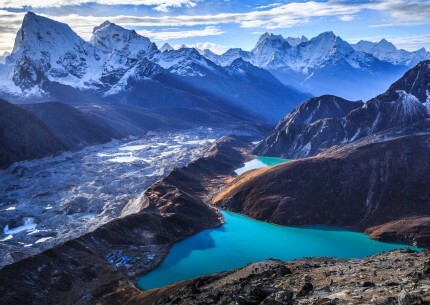 The great Himalaya mountain,lying to the south ,forms a barrier to monsoon in this area. 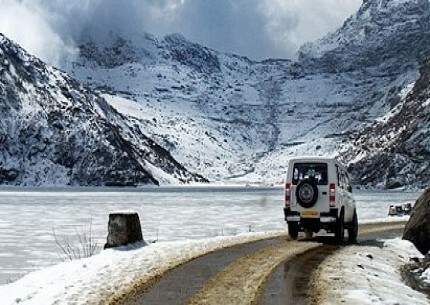 Due to this region Ladakh is an isolated cold desert region. 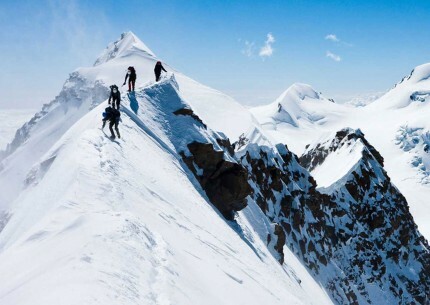 Altitude in Ladakh varies from place to place and is the main factor affecting local climate. The winter temp. touches as low as minus 30 degree(Leh & Kargil) and minus 60 degree in (Drass) subzero temp. prevails from December to February throughout Ladakh, whereas, zero degree temp. is experienced during rest of winter months. This result in freezing of all conceivable water resources. During summer the maximum temp. increases from 20 degree C to 38 degree C in July and August. The relative humidity is low and ranges from 31 to 64 percent. The Tibetan influence in Ladakh is manifest: all religious books and prayers are in the Tibetan language, the monastic orders in the gompas are those developed in Tibet and the gompa artwork is clearly Tibetan in origin. Even the architectural design of Leh Palace is very similar to that of Lhasa's Potala Palace. Tibetan Buddhism is built on an earlier Tibetan religion - Bon or Bon-Shamanism - and it incorporated many of Bon's demons and gods. It similarly incorporated many of the gods in the Hindu pantheon, transforming them into Bodhisattavas or different incarnations or manifestations of various personalities. The walls of Ladakh's gompas are covered with illustrations of the Lord Buddha, his manifestations and followers, and the incorporated Bon and Hindu guardian deities in their various incarnations. It all makes for colourful and varied wall murals in every Ladakh gompa. 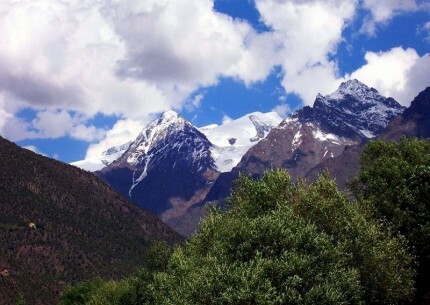 The monasteries follow each of the two main sects of Buddhism that developed in Tibet: the Karyu pa or red-hat sect and the Gelug pa or yellow-hat sect. The Dalai Lama, believed to be a reincarnation of the Boddhisattva Avalokitesvara, is the head of the Gelug-pa sect. The gompas represent the monastic side of Buddhism, or lamaism. The lamaist side of Buddhism, requiring lon tation, contrasts with the everyday practice of Buddhism by Ladakhi lay people. 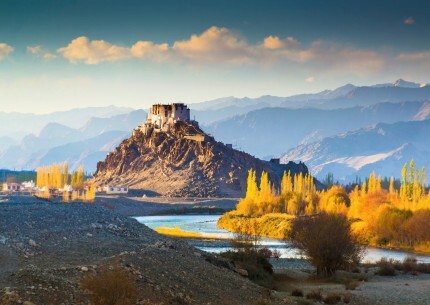 The Mon, a term applied by Tibetan-speaking peoples to valley-dwellers, are probably the builders of many of the castles found in Ladakh, particularly those in the Zanskar Valley. The Mon were early Buddhists who derived their religion directly from India; thus, their form of Buddhism does not show the Chinese or Tibetan Tantric influences so prevalent in the later monasteries of Ladakh. Today the Mon are musicians in many Ladakhi villages, providing musical accompaniment to secular occasions such as social gatherings, parties or marriage ceremonies. 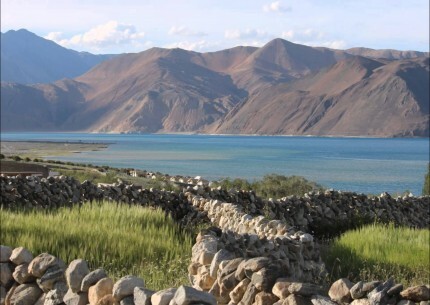 The Dards, also agriculturists like the Mon, similarly arrived in Ladakh sometime before the 7th century and settled primarily in the Dras Valley. Having converted to Islam in the 17th century, little remains of their prior religious practices. Traditionally, the men's dress is a goncha, a long maroon or brown gown of heavy wool tied with a bright pink sash slightly below the waist, although any men now wear western clothes. Women do not wear western dress as frequently; their goncha is slightly more fitted than the men's version, gathered into small pleats near the waist and worn with a brocade or goatskin cape (fur side turned towards the wearer) on the back. Alternatively, women wear a buckoo, a sleeveless wrap-around dress, although this is more typical of Tibetans than Ladakhis. Women usually wear their hair in two long braids and a Kantop, a sort of top hat with part of the front cut out. The Dard women of Baltistan wear distinctive head-dresses of orange ribbons curled to look like flowers, while Ladakhi women wear peroks - head-dresses with brown fur side flaps and a large band decorated with turquoise and coral reaching from their forehead to part way down their back.